If you're missing a few teeth, or are currently wearing removable dentures, you may have wondered from time to time whether it might be worth getting dental implants. The short answer is yes: dental implants can literally change your life, by providing you with dental restorations that look, feel, and function exactly like natural teeth. Bay Dental Care of Bayport and the Stillwater, MN area offers both implant placement and restorative placement to fulfill all your dental needs in one office. 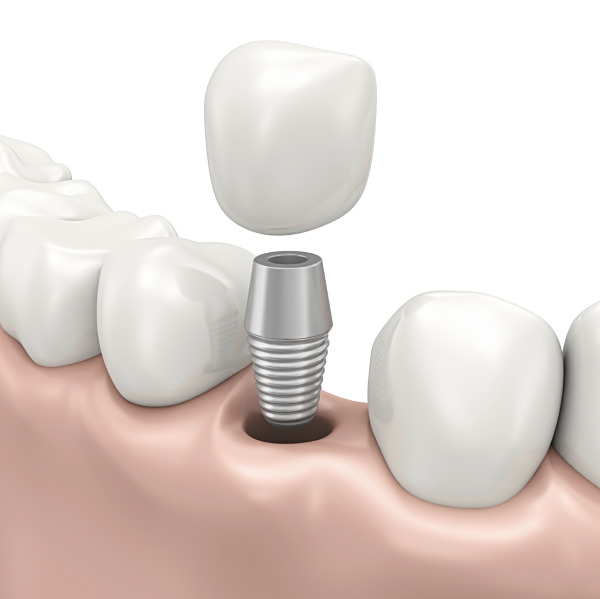 The dental implant procedure has one of the highest success rates of all dentistry procedures, and having implants fitted will not only restore natural function and aesthetics, it'll also preserve oral bone density. Visit us at Bay Dental Care for complete service, including patient education to help you make the best choices for your oral health, and an exemplary level of care. Your implants can be placed and restored at our facility—no need to visit a specialist—and all of our staff, including Dr. Nelson and Dr. Arnason, are committed to making each procedure as stress-free and painless as possible for each and every patient. Getting dental implants can improve life in so many ways. By choosing Bay Dental Care, you'll be working with experienced implant dentists who are strongly committed to patient care, who respect your needs and your concerns, and who are ready to answer any questions you have about procedures, as well as practical matters like billing and insurance. Your implants are placed and restored by skilled dentists who prioritize patient safety and comfort, and in providing quality dental care that enriches lives. If you've been thinking about getting dental implants and you live or work in the Bayport or Stillwater area, contact Bay Dental Care for a consultation.